I've been running my business for 3 years full time :) and sell a range of healthy snacks that are gluten free, vegan and paleo, We Bar None crackers are also low carb and low FODMAP. 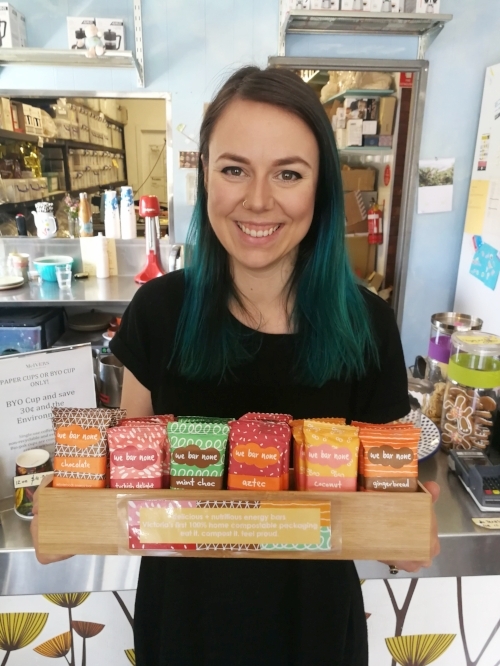 I recently became the first business in Victoria to have 100% certified home compostable wrappers on my energy bars! My crackers and limited edition items like Christmas Puddings and Hot Cross Buns are handmade by me. My energy bars are now made at Springhill Farm in Delacombe. Springhill Farm is another local family-owned business and their entire facility is gluten free and allergy friendly. I moved back to my Mum's house in Ballarat almost 3 years ago to focus on the business as her kitchen was eligible to be registered with the council. I recently got engaged and my fiance lives in Footscray so I am always going backwards and forwards. 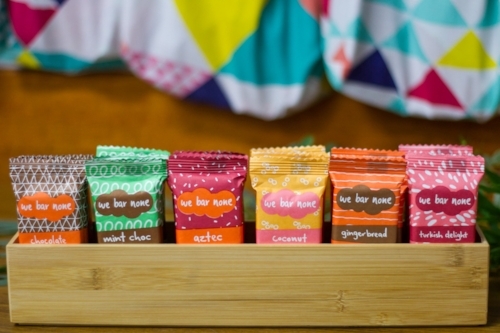 It's very handy to have a base there for my Melbourne stockists! My fiance is also from Ballarat originally so is planning on moving here next year. I am one of the co-founders of The Hidden Orchard, a Ballarat volunteer organisation that harvests unwanted fruit from private backyards and public land and redistributes it to the community. I spend most of my time around food in one way or another. I also love hiking and camping with my fiance. I love the idea of taking my energy bars on a hike and being able to bury it in the ground after my snack! I love running We Bar None because I'm able to listen to customers and offer them what they need. More and more people are being diagnosed with food intolerances, or choosing to alter their diet for health reasons, there's no reason why these people can't be catered for in the snack food market! I love hearing from people that are so excited to be able to eat and enjoy my products. My family and friends are my biggest supporters and chief taste testers! My Grandma brings me coffees every market day and my Mum comes to visit so I can have a toilet break. I'm the only person in my business but it wouldn't be the same without the help and support of those around me! My short term goal is to sell heaps of my delicious Christmas Puds over the next few weeks and spread some Christmas cheer. My long term goals are to grow the business to spread across Australia and get to the point where I can employ other people to help me in my business! I'd love to be able to create some jobs and help provide a happy fulfilling and flexible workplace. I'm really looking forward to being part of the Mermaid Sorority market because there's a real buzz around the health, wellness, and local scenes at the moment. I think people are especially excited to be able to buy quality local products for Christmas gifts this year! THANK YOU So much for your wonderful insight into your amazing brand Ellen! You can find We Bar None at tomorrow Ballarat Mermaid Makers Market.